Gitex Shopper returns to Dubai in what promises to be the biggest trade show to date. The show, which has run for 30 years, has moved to the bigger, Za’abeel Halls within Dubai World Trade Centre, which means even more floor space for tech stalls and their bargains. If you’ve never been, you’re in for a treat. Thousands of products from household names such as Samsung, Sony and more will be offering huge discounts on the cutting-edge tech you’ve craving. But Gitex Shopper isn’t for the faint hearted. No, sir. It can be chaotic as swarms of savvy bargain hunters block your path or grab that last cheap laptop seconds before you. So let us guide you to a more stress-free experience with our essential survival guide. Do not, we repeat, DO NOT go to the show with a vague idea of what you’re going for. This is how you make impulse buys and then get home to discover your sparkly new TV doesn’t have enough HDMI slots for your entertainment setup. Check reviews online from tech writers and customers, jot down your needs, and, we can’t stress this enough, make a note of the in-store/website price so you know if you’re getting a good discount or not. Let’s be realistic, before you even set foot in Gitex Shopper you need to be extremely clear on how much you have to spend. Plunging your bank account into the red because you simply must have that piece of tech you absolutely didn’t need five minutes ago just isn’t worth it. You need to make a budget and stick to it. Remember, it’ll all be rendered obsolete in twelve months, anyway. With the venue switching to the larger Za’abeel Hall in DWTC, you’re potentially going to be putting in more effort to get around. That’s why it’s time to channel your inner cartographer and plot your route through the venue. Grab a map when you arrive and circle all of the stalls you want to visit – this will maximise your time and reduce the lack of aimless traipsing around that you would have no doubt done. A strong one, preferably. There’s a lot we can learn from Homer Simpson, but none more important, or relevant, than when he goes to a candy festival. See, Homer knows that he is but one man with a pair of arms, by dragging Marge along he can double the amount of stuff he can take home. So get your family together, enlist your friends and maybe even ring that uncle you haven’t called in years – the more people you have in tow, the more tech bargains you can leave with. Okay, this is the most obvious piece of advice of all, but bear with us here. 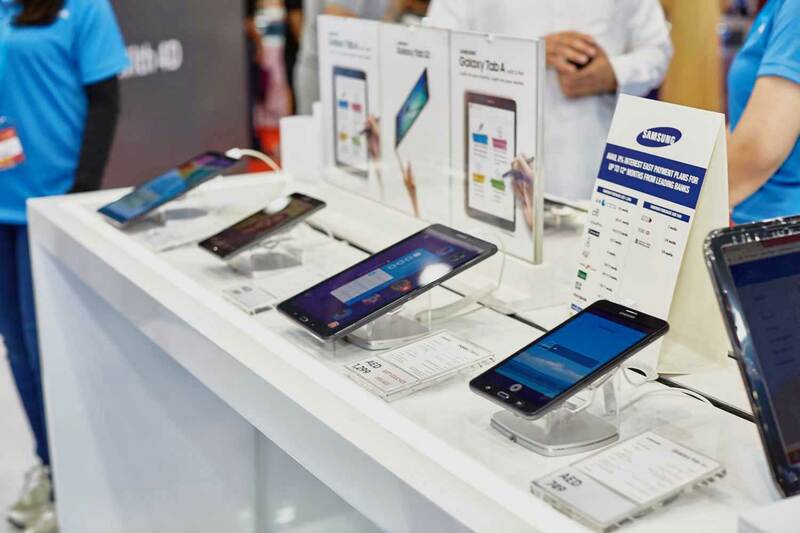 When you go to any huge consumer show like Gitex Shopper it pays to shop around because most stalls – especially the independent ones – will look to undercut the competition. It might be AED1,000 or just AED1 discount, but if you start playing them off against each other – “those lads on the other side are selling this for <insert low ball price>” - you just might get a better price.